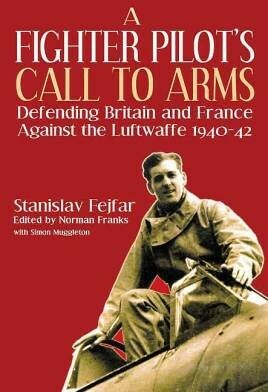 Stunned into action by the rapid collapse of his country in 1938, Czech pilot Stanislav Fejfar escaped and traveled through Poland to serve initially with the French Foreign Legion, then as a sous-lieutenant with the French air force in early 1940. After the demise of that country, he fled to England in July 1940 to join the RAF. Posted to 310 Squadron, he saw much feverish action and he rapidly became an ace during the Battle of Britain but was to lose his life on 17 May 1942, shot down over Boulogne flying his beloved Spitfire. Until recently it was not known that throughout his short career, Stanislav kept a full day-by-day diary which has been translated by Henry Prokop and is the basis for this book. Augmented by the diligent research of Norman Franks and Simon Muggleton in unearthing previously unpublished combat reports, letters and other articles of memorabilia, together with their annotated comments, this is an extremely valuable and moving account by a man who gave his life defending freedom. A book which will be sought out by anyone interested in the history of the Battle of Britain. 2010 is the 70th anniversary of that momentous event.